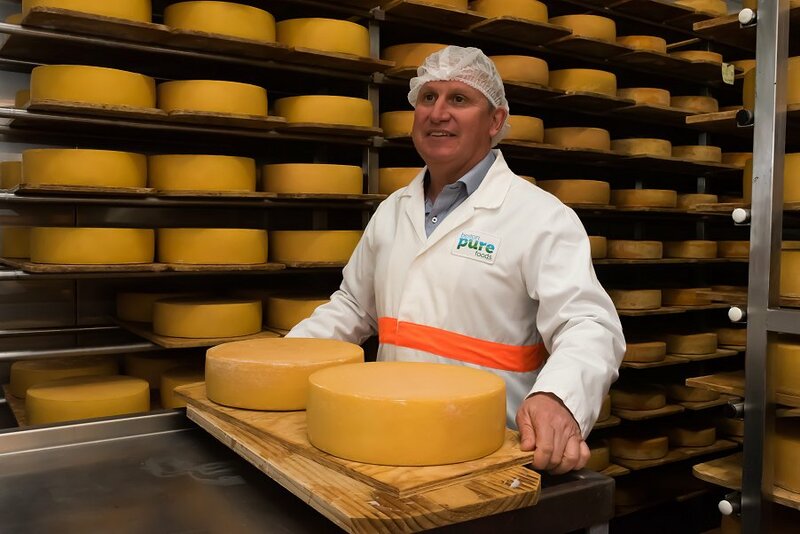 Having just won two gold medals at the 2018 Royal Adelaide Show for its new gruyere cheese and 20kg block of cheddar, one could say Beston Pure Australia has successfully broken into the extremely competitive South Australian dairy market. Founded in 2015, Beston has come a long way in just three short years, becoming a part of a number of local food produce companies including the Edwards Crossing and Mable’s cheese brands. Over the weekend, we were lucky enough to be invited to tour the two factories and see where all the magic happens with Beston Pure’s Master Cheesemaker, Paul Connolly. Our first stop was Beston’s Jervois factory, where a whopping 3.8 tonne of mozzarella cheese is made every hour! Newly renovated and having only been in operation again since February, this factory is equipped with highly-automated, state-of-the-art machinery and technology capable of pasteurising 38,000L of milk per hour! 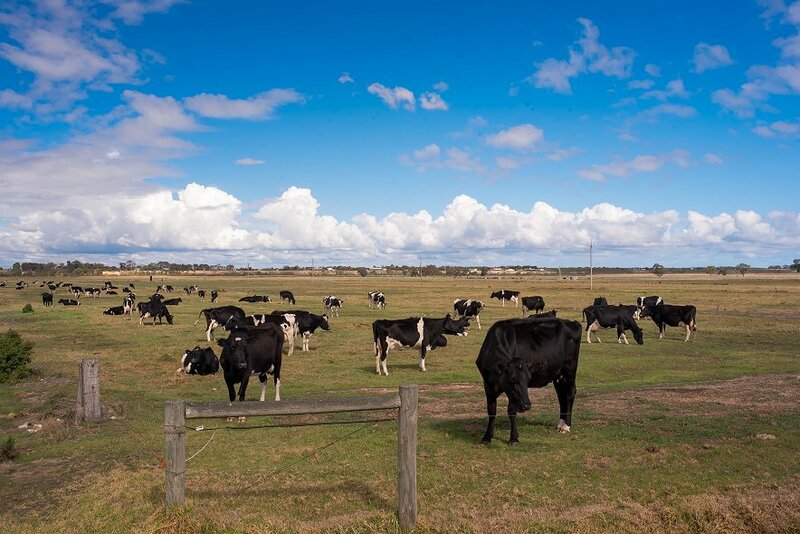 With so much capacity, the Jervois factory primarily bulk-manufactures mozzarella to Beston’s many clients, both local and international. When we visited, it was in the middle of a huge order for the Korean market, producing hundreds of 2.5kg bricks of mozzarella (it’s also capable of producing 5kg and 10kg bricks!). To top things off, this factory even utilises all its by-products, also manufacturing whey powder. “At the moment, we collect about 120 million litres of milk and we want to increase it to 300 million litres of milk over the next five years. So that will then have us producing a lot more mozzarella so we can really get out to those global markets and, of course, the domestic market that we’re already in,” says Paul. 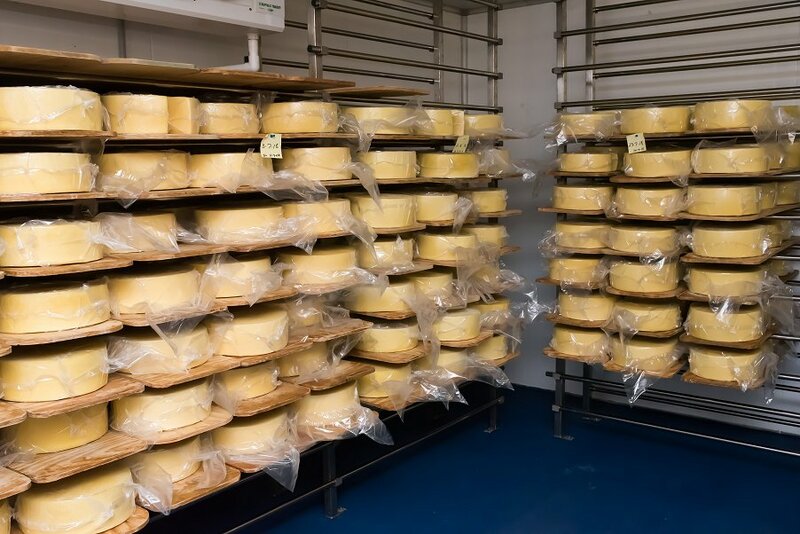 The second, and final, stop on our cheese journey took us to Beston’s Murray Bridge factory, where the company produces cream cheese, cheddar varieties such as colby and gouda, as well as hard cheeses such as gruyere and parmesan. While the Jervois factory takes care of most of Beston’s bulk-manufacturing, the Murray Bridge factory is known for its variety. With drying rooms filled from floor to ceiling with gruyere cheese and (yet to be released) parmesan cheese, this factory is definitely every cheese lover’s dream. It even produces dairy desserts from rice pudding to custard! We haven’t even mentioned the best part of our tour – we got to taste all their amazing cheeses (our favourite was their award-winning gruyere)! Check out Beston Pure’s incredible range of products here.